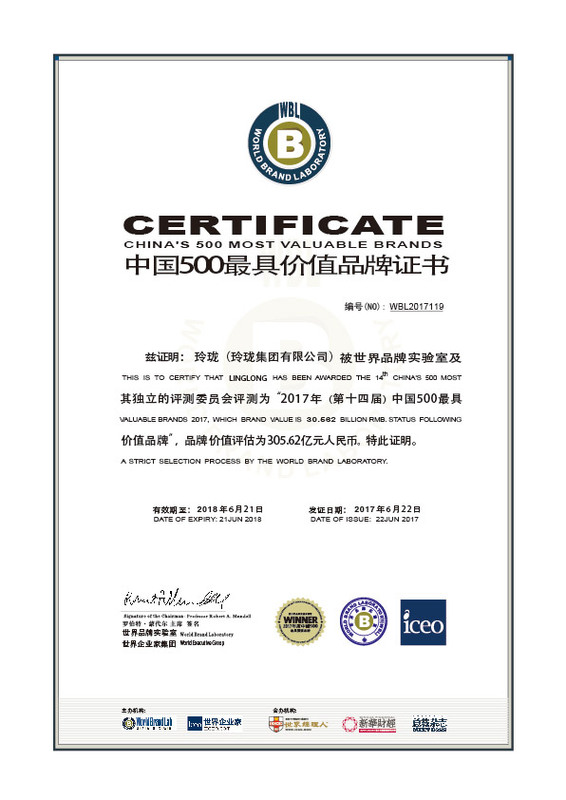 Linglong Brand Value Reaching RMB 30 Billion in 2017 | Linglong Americas, Inc.
On June 22, the 14th World Brand Summit, sponsored by World Brand Lab, was held in Beijing, with releasing the 2017 China’s 500 Most Valuable Brands. Linglong ranks No.119 on the list with the brand value reaching RMB 30.563 billion, which is Linglong’s 13th time appearing on the list. Over the years, Linglong adheres to improving its internal quality and building its external brand and arranges huge investment in technology innovation, quality control and brand building. The company has been on list of China’s 500 Most Valuable Brands since 2004 with an annual increase of RMB five billion yuan. Linglong Tire is accepted by increasingly more customers.